A turbine firm who agreed a multi-million deal to provide upkeep to four Scottish wind developments has placed itself into “self-administration”. German firm Senvion announced last night it had taken the measure in an effort to “return the company to financial security”. It is understood the firm has been experiencing financial turmoil for the past nine months. 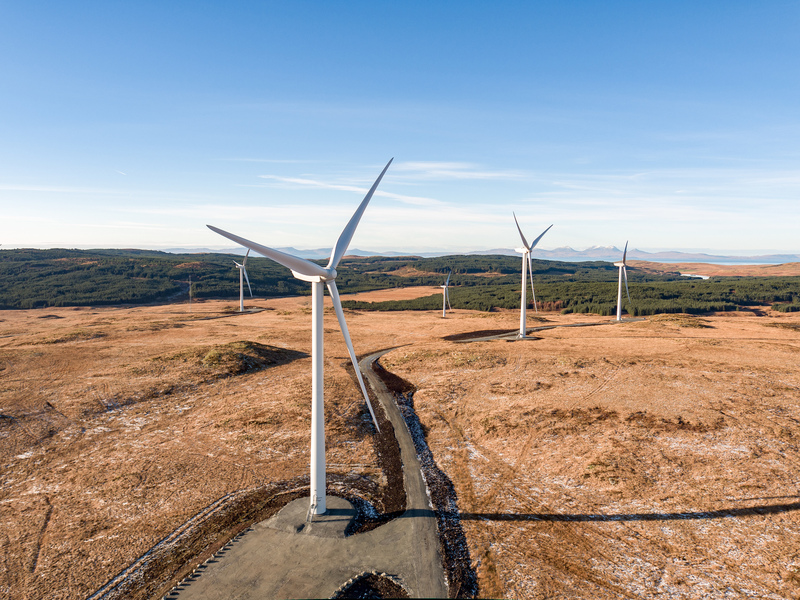 In October, Senvion signed a major deal with SSE to provide upkeep and services to four onshore wind farms in the north of Scotland. The contract was for the servicing of 107 turbines across SSE’s Gordonbush, Achany, Fairburn and Strathy North wind farms. Senvion claimed it was one of the “largest single service contracts” in the firm’s history and revealed it was a “multi-million pound deal”. The firm added that the deal covers 10% of its “entire service contract in the UK”. Senvion claimed “lenders and major bond holders are currently continuing intensive discussions around a financing offer to secure the continuation of operations”. It also revealed it has received £70 million from its main shareholder Centerbridge over a nine month period. Yves Rannou, chief executive of Senvion, said: “Although we could not yet win some breathing space through a financial restructuring, Senvion has a fundamentally sound and strong business model. “Together with all our teams, the management and I are implementing measures to return the company to economic stability. “By entering the preliminary proceedings under self-administration, we aim to gain the flexibility and speed required to press ahead with the initiated transformation program. SSE has been contacted for comment.